The Black Hawk Area Swim Team is looking to hire a Full Time Senior Coach with the possibility of advancement. The coach would lead, design, and foster systematic growth for our Senior swimmers while in line with the BLAST Mission Statement/Vision/Values (see website). BLAST trained 220 swimmers last winter and our numbers continue to rise. We currently have 1 Junior National qualifier, 4 Futures qualifiers, and 16 Sectional qualifiers at the senior level. · Plan, prepare, and conduct team practices with knowledge of stroke/skill technique in accordance with the Head Coach/Program Director and Senior Coaching staff. · Abide by the USA Swimming Code of Conduct, and BLAST policies and procedures. · 5+ years swim coaching experience and current swim coaching certification. · Establish a local presence and reputation within ISI, the Central Region, and USA Swimming via clinics, volunteering, etc. · Plan and execute team-building and social functions. · Current certification in CPR, First Aid, Safety Training for Swim Coaches. · Proven success coaching all levels. · Strong core values that include respect, trust, and integrity. · Cooperative and respectful communication style with swimmers, parents, and co-workers. · Capability to develop talent at all levels. · Desire to increase the number of athletes who swim into their high school and collegiate years and increase the number of athletes who qualify for championship opportunities. · Ability and desire to develop into a Head Coach/Program Director. · Knowledge of programs including Hy-Tek, Meet Manager, Team Unify, etc. 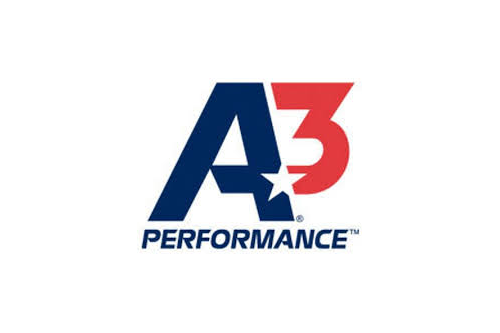 · Assist the Head Coach/Program Director in all areas as/where needed, when necessary. · Submit all written practices to Head Coach/Program Director. · Coach all Senior group members (or others designated) at all meets. · Maintain and pursue continuing education related to all athletes at his/her level about proper stroke technique. · Responsible for implementing/enforcing any and all rules or guidelines as outlined in the Team Handbook. · Ensure proper communication pertaining to Senior groups and parents including weekly group communications. · Determine Senior group members’ events for meet entries and submit/approve entries by team’s registration deadline. · Must be able to show unwavering support and the belief in program structure as a whole, the philosophies of the Head Coach/Program Director, and be willing to assist in all areas whenever appropriate. Will not sponsor applicants for work visas.